So, I haven't had any time to do any projects lately as we have been house hunting. Now that we have found a house and will be moving in at the end of next month (fingers crossed that all goes as planned) I can't stop thinking about home decorating. We have been renting for 10 years and I've never been able to paint a single wall. So, I'm uber-excited. Looking at art etc; in stores and online got me to thinking that maybe I can use my cricut to make some tasteful decorations for the house. I don't want it to look like a dorm room or a high school art project, but I am starting to brainstorm ideas. It was so hard to get a picture because of the glare! I used the dragonfly from Gypsy Wanderings (I am still surprised everytime I look for an image it always seems to be on Gypsy Wanderings! Quickly becoming one of my most used cartridges!) and the paper is from DCWV Mi Casa (I told my husband...okay now you know my color scheme for our house! lol. Love these bright colors!). I cut a piece of black cardstock to 12x4.75 to fit the frame. Using my gypsy I lined the dragonflies up just how I wanted them and cut it. I saved the negative and tossed the actual butterflies. I cut three pieces of paper from Mi Casa into 4.75x4 inch squares and adhered them to a 12x4.75 scrap. I then used a gluestick to adhered the black paper on top of the colored paper. It was so easy and looks seamless (rather than cutting the dragonflies from printed paper and gluing them onto black. It eliminated any need to measure and space them out just right and looks great this way! Your sister is a jewel! I love your piece of art and it would be sucha great addition to your crafty space. I also LOVE all of your cakes--woweeeee! 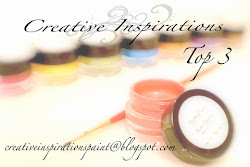 Thank you so very much for playing along in my Simply Sunday Challenge at Getting Cricky! fun sentiment stamps, and more! Great piece of art for your new space, Melissa! Congrats on the new house! Thanks for joining us this week at Cooking With Cricut. I love your wall haning, you can never go wrong with butterflies. Congratulations on your new house. Love the wall art. This is very pretty! Thanks for playing along with us at Cooking with Cricut. It would look great in my scrap room. LOL I love your project! Great Job! Good Luck! Wow, this is so cool. I love the colors with the black background. Great job!!! Thanks everyone! Crazy how good you can make some scraps and a $3 walmart frame look! Really love your project.. Love it.. and i so love gypsy wanderings!! Love this, I really love dragonflies. How cute this is!! Congrats on the new craft room! Yay! It looks great and I can't wait to come help you use those paint colors!!! Melissa, What an awesome project! What a genius idea to use the negative of the dragonfly!! You have so many beautiful projects on your blog :) Congrats on the new house! That looks awesome! I'll have to try your technique, that sounds super easy, but I would have never thought of it. TFS! This is really amazing! WOW. I'm going to make one of these for my daughters. One in each room now. WOW WOW WOW. Thank you so much for the inspiration and thanks for playing with us at scrapalicious usa this month.